Snowbee Neoprene Gravel Guard 3mm double lined Neoprene. Heavy-duty zip, plus Velcro flap fastening (better and more secure than hooks, plus stops fly line getting caught!!). 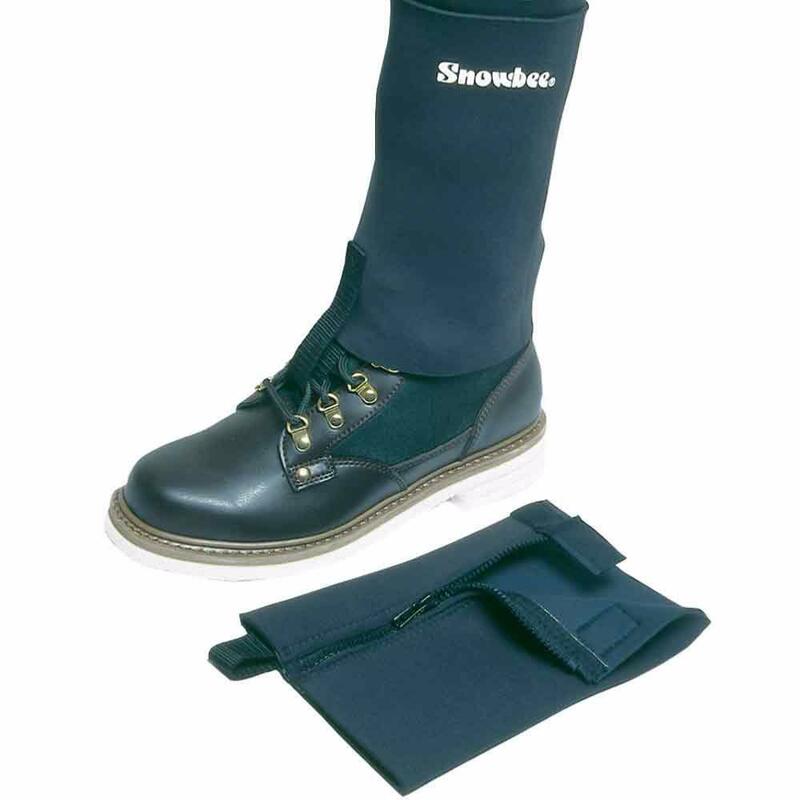 The Snowbee gravel guard is worn over the top of wading boots (one size fits all), to prevent gravel, sand, pebbles and other debris from entering the stockingfoot wader and wading boot, a very popular product, saves wear and tear (leaks! ), plus keeps you more comfortable.